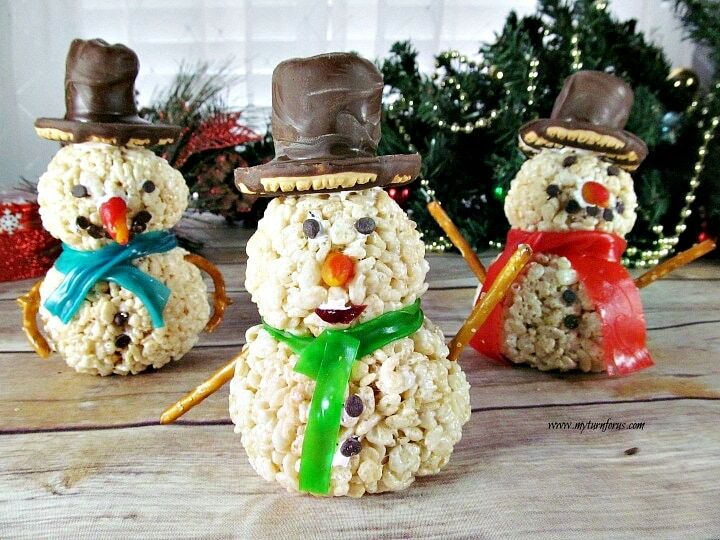 Make Snowman Rice Krispie Treats with the kids this year. 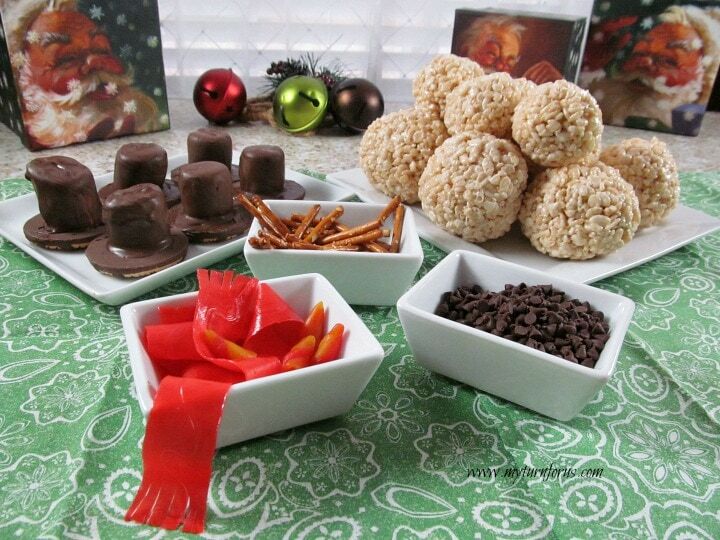 These Christmas Rice Krispies are molded into fun Rice Krispie snowmen. 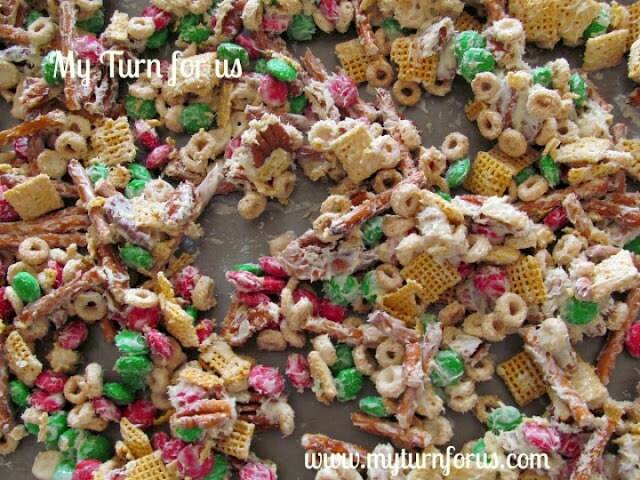 We are sharing a fun Christmas Rice Krispies recipe today. And we hope you will enjoy making it as much as our bunch did. Our grandkids just spent a fun afternoon making these Snowmen Rice Krispie Treats. And it was such a hit that it’s sure to become one of our newest holiday traditions. Traditional Rice Krispie Treats has always been an easy and delicious snack for our family. It’s an easy three-step recipe that is one of our go-to recipes. We are always looking for fun variations. We took the traditional recipe and turned it into a fun craft that is not only edible but delicious. These Christmas Rice Krispies were a hands-down favorite from this much-loved treat. 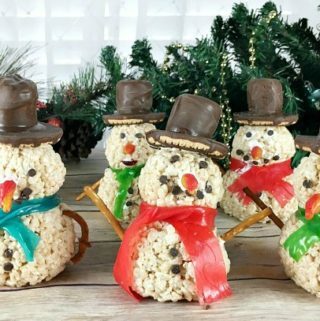 These adorable Rice Krispie Snowmen with their bright colored scarves, stovepipe hats, little round eyes, and big smiles are an easy project for a cold, snowy afternoon with the children. It’s fun to assemble everything on a table and let the fun begin. Depending on the ages of the children, they can assist in making all the snowballs, hats and scarves. Or if they are very young, an adult can have everything ready, and the little ones can decorate their very own snowman. Hats are made from dipping marshmallows into dipping chocolate and placed on a chocolate cookie. Scarves can be quickly designed from fruit roll-ups. They are cut into lengths and sliced at the end to create fringe. The bodies are created from the traditional Rice Krispie treat recipe. Then shaped into balls or should we say snowballs? 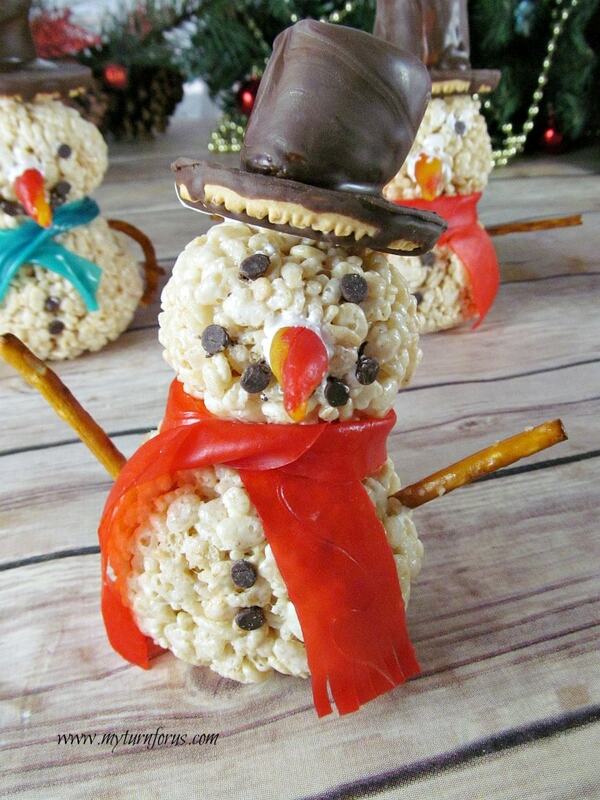 Snowman rice Krispie treats are super cute and easy to assemble. Their hats are attached using marshmallow cream. And a few mini chocolate chips make great eyes, a mouth, and cute buttons. This little guy’s scarf is folded and tied in the front in a sassy manner. He’s finished off with pretzels for arms. It’s that time of the year that memories are made and last a lifetime. So many of our fondest memories of raising our children were centered around holiday recipes and crafts like this one! We made a few of the Rice Krispie Snowmen with dried cranberries for lips just for fun. The snowman in the green scarf has cranberry lips. And we also used regular pretzels (blue scarf) for curved arms. Microwave butter in a large microwavable bowl for 30-40 seconds or until melted. Add rice Krispies immediately, mix gently until well blended. Wait for the mixture to cool about 5 minutes. Using a sharp knife, make slashes on the end of each end to make scarf’s fringe. Using the marshmallow cream attach mini chocolate chips as eyes, either mini chocolate chips or a dried cranberry for a mouth and the nose made from fruit snack. Those are too cute! What a fun snow day activity they would be too! These are adorable! 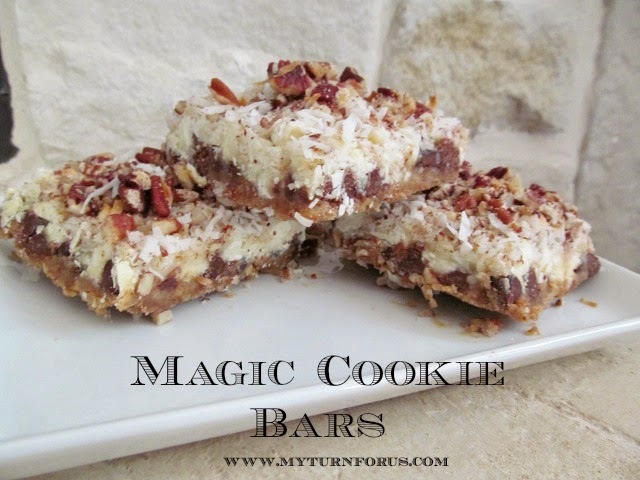 I definitely want to make them with my sons this season! And what a smart idea for the scarves! These are so cute. My kids would have a blast making them. Oh my, these are adorable! They made me smile, and I really needed that smile today. Thanks so much! I'll have to make these so I can pass the smile along! How cute are these! I have to try and these with my girls this weekend! Thanks so much for sharing. These are so cute! What a great little project to have the kids make over Christmas break. Ours probably won't look as cute as yours though, lol. Pinning now, thanks for sharing! My kids would love these Evelyn! So cute. I love the hat and scarves! Great job. These are too cute for words my friend! You are pure genius for crafting us these adorable and delicious snowmen!